HPC applications often require more performance than can be provided by traditional storage servers. 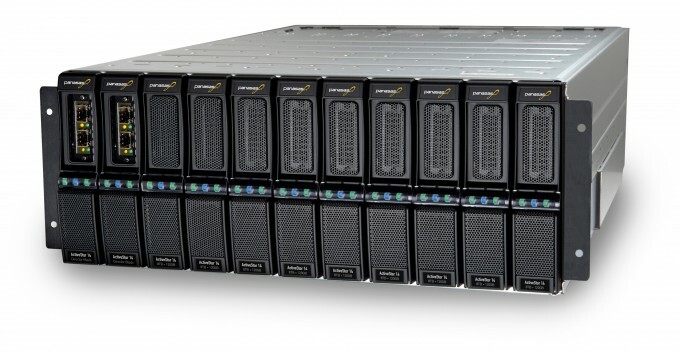 In these cases Microway offers parallel, high-performance storage. Our HPC storage offerings range from all-in-one appliance solutions to custom-designed storage clusters based upon open-source software technologies. A successful implementation will require coordination between our experts and the stakeholders at your institution. Depending upon your application, efforts may require focus on storage latency, throughput, or both. We’re able to leverage partnerships with a variety of industry-leading storage vendors to offer unified and parallel, clustered storage systems. Note that HPC storage is not always the correct solution. Parallel filesystems and parallel storage may require more maintenance than other storage technologies, depending upon the type of product selected. Users with “Big Data” requirements and Hadoop software stacks may be better served by Microway’s traditional storage servers (though groups with mixed workloads can leverage parallel storage systems which support both traditional HPC and “Big Data” workloads). Available with 10G/40G Ethernet or 56G/100G InfiniBand connectivity, these storage systems provide excellent performance and flexibility. Features such as snapshots, replication and high-availability (HA) designs with no single point of failure are available. Our engineers will design a system that best fits your budget and provides the capabilities you require. The storage ecosystem is complex and ever changing, but we are here to help. Speak with one of our experts to learn which storage will best fit your requirements.